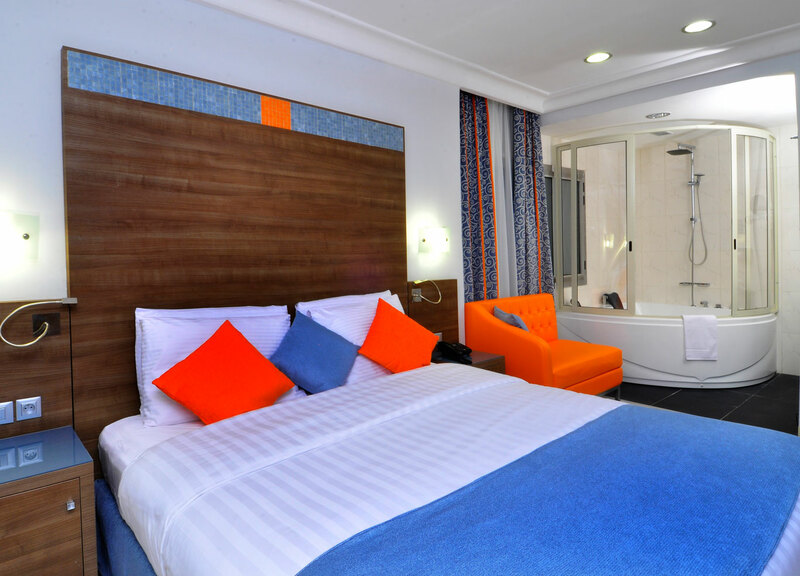 Benin Royal Hotel (BRH), the first independent hotel to be rated four stars in Benin, provides business and leisure travelers with all the comforts of a luxury hotel, world-class modern facilities and unsurpassed services to make you feel at home. 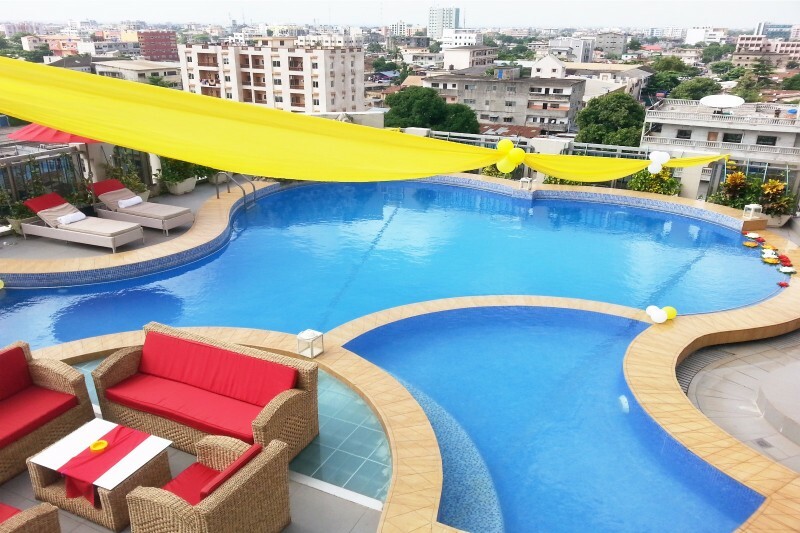 Benin Royal Hotel (BRH) is ideally located in the heart of the city and within walking distance of major business, leisure and tourist areas, at 5 km (10 minutes) of the Cardinal Bernadin Gantin International Airport of Cotonou. All our 65 fully air-conditioned rooms (centralized air-conditioning) offer the essential and luxurious amenities to guarantee you unforgettable stays. 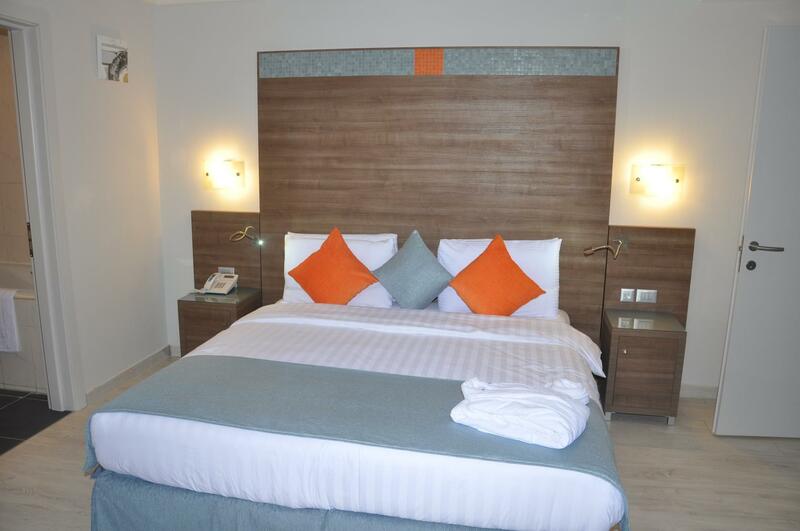 Each room has a work desk, free internet access, a TV and a mini bar. The hotel's facilities include a rooftop swimming pool and Restaurant Bar offering grills 7 days a week, a spa center, a culinary restaurant, a lounge bar with billiards, and seven conference rooms for your meetings, symposiums, seminars and banquets. 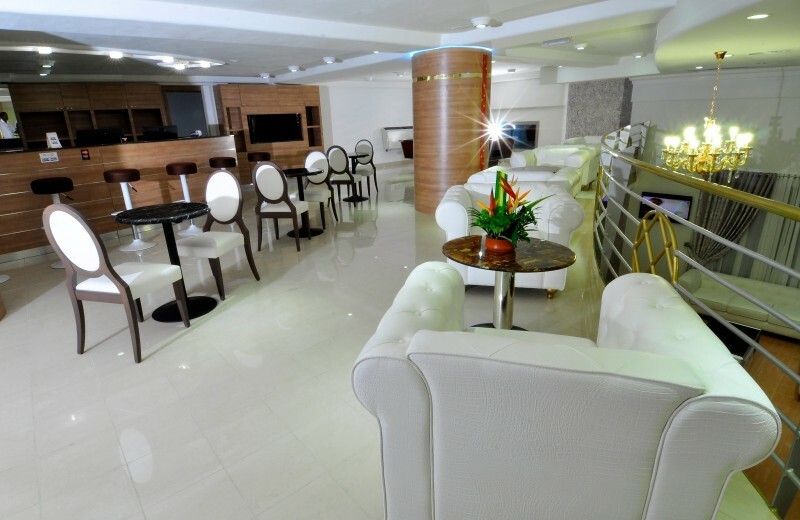 As soon as you enter the spacious lobby of Benin Royal Hotel, you will be assured of a warm welcome by our always prompt staff, who will take you to our exquisite reception where you will be assisted by our 24-hour concierge service. Hours.